No more shithole slur. 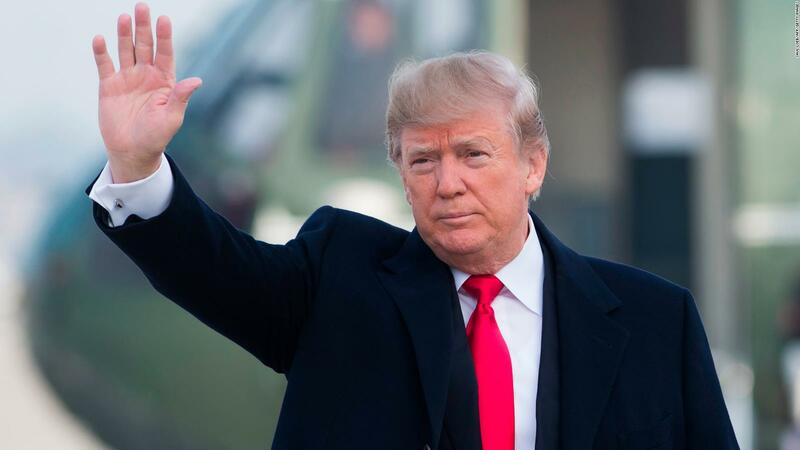 US President Donald Trump has sent a more dignifying message to African leaders, meeting in Addis-Ababa this weekend. At a meeting today with Rwanda President Paul Kagame in Davos Switzerland, Trump asked him to pass on his “warmest regards” to other leaders. Trump had sparked global outrage after describing African countries as shithole. Kagame will be assuming chairmanship of the continental body at the summit, as a successor to Guinean leader, Alpha Conde. The US leader congratulated Rwandan President Paul Kagame on taking over as chair of the African bloc, which Trump said was a “great honour”. “I know you’re going to your first meeting shortly. Please give my warmest regards,” Trump told Kagame after they held a one-on-one meeting at the World Economic Forum in Davos, Switzerland. The US president ignored questions shouted by journalists about his reported dismissal this month of African nations as “shithole countries”, during a meeting on immigration with congressional leaders. The reported remark drew outrage around the world and prompted several African governments to demand explanations from their US ambassadors. The 55-nation African Union demanded an apology, although Trump has denied making the remark as relayed by US lawmakers who were present at the meeting. Trump said he had “tremendous discussions” in Davos with Kagame, who for his part said they had “good discussions” about the economy and trade.